Anyone with the will to do so. Not related, also you kind of don't really have concrete evidence that we commit crimes against our people. Ask any Yekaterian. Haha, October Revolution in Russia? I know that now, because my plugin making skills have come a long way since releasing this plugin. Hopefully I'll be adding V2 soon! That is most unfortunate. I am so sorry. If you want to hold a ceremony in TheoTown in the person's honour, you can, if you download this. CommanderABab is correct; I have no space for the shadow. 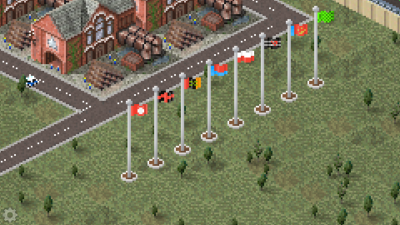 I made flags of custom countries using the template. Thanks!